MARBLE FALLS — Last year, just days before he and a friend were supposed to take the stage in the Old Settlers Music Festival's Youth Competition, Joelton Mayflield received bad news. His friend had to drop out to visit a prospective college. Mayfield, a senior at Faith Academy of Marble Falls at the time, also considered dropping out of the competition. After all, Mayfield had prepared to perform as a duo, not a solo artist. "But then I thought, ‘What have I got to lose?’” he said. So three days before the competition, Mayfield reworked his musical selection and got ready for the day. He admitted he wasn't expecting much, but at least he would show up and perform. When it was all done, however, Mayfield landed the top spot in the youth competition. "It was pretty amazing," he said. "It really, I guess, validated everything I'd been doing." 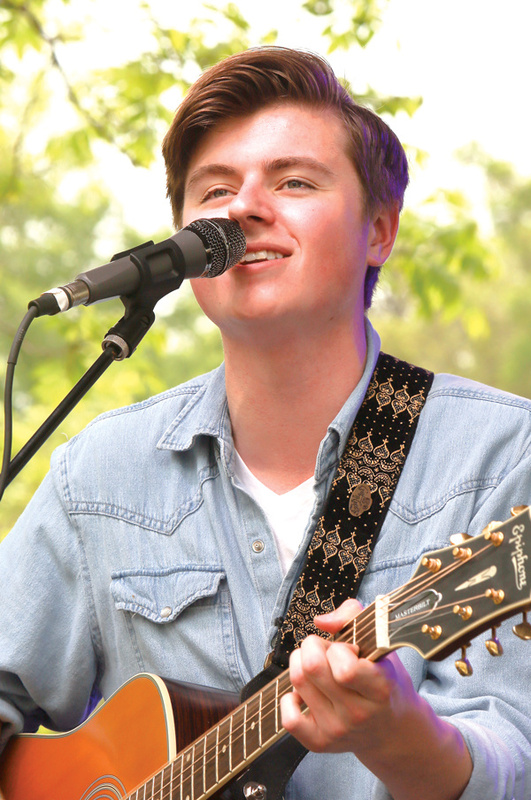 As the 2015 Youth Competition winner, Mayfield earned a spot this year on the Hill Country Stage — the big one — at the Old Settlers Music Festival. "I'm definitely looking forward to it," he said from Belmont College in Nashville, where he attends school. "Sure, there are some nerves, maybe, but in a good way. This will definitely be the biggest audience I've played for." Mayfield takes the Hill Country Stage at 4 p.m. April 15 at the festival, which is held in Driftwood. He'll be the main draw for about 45 minutes. Mayfield joins a list of Youth Competition winners to take the Hill Country Stage. But it’s more than a competition. "It's important to perpetuate the music," said Jean Spivey, the Old Settlers Music Festival executive director. "It also teaches young people that acoustic music is exciting and a vibrant form of music." The festival started the Youth Competition in 2002. That year's winner, Sarah Jarosz, now a Grammy-nominated artist, returns as an invited performer. "Our youth winners go places," Spivey said. "But it's great to have them back. We're really excited to have Joelton come back this year." Mayfield plays a list of instruments starting with the guitar but including the harmonica and banjo. When he's in the Marble Falls area, Mayfield performs at a number of venues, mainly restaurants. The Old Settlers Music Festival win last year definitely helped when it came to booking venues. "When you put 'winner of Old Settlers Music Festival Youth Competition’ in an email, yeah, you get more responses," Mayfield said with a laugh. "It's definitely helped open more doors." He plans on performing a number of original pieces at the show Friday with maybe one cover. While Mayfield knows he's not the big draw at the festival, it's a great opportunity to get his music out in front of people who otherwise might not hear it. After his show, Mayfield plans to stick around for the rest of the evening and return Saturday to see more performers. Then it's back in the car for the 15-hour drive to Nashville. He does have class Monday, after all. Even Old Settlers Music Festival winners can't get a pass for that. Go to oldsettlersmusicfest.org for tickets, a complete lineup and more information.